The first of an uninterrupted series of four gravel events, Rally Argentina is almost certain to be the championship's most demanding weekend for the cars. Citroën Total Abu Dhabi WRT will be entering three crews in South America, with Kris Meeke / Paul Nagle, Craig Breen / Scott Martin and Khalid Al Qassimi / Chris Patterson, and will also be running a recently homologated upgrade to the C3 WRC's rear axle. The traditional hub of Rally Argentina, the Province of Cordoba has an almost religious reverence for rallying. Every year, excited fans flock to the event, thrilled by the WRCs flying along the region's tough gravel roads at high speeds. 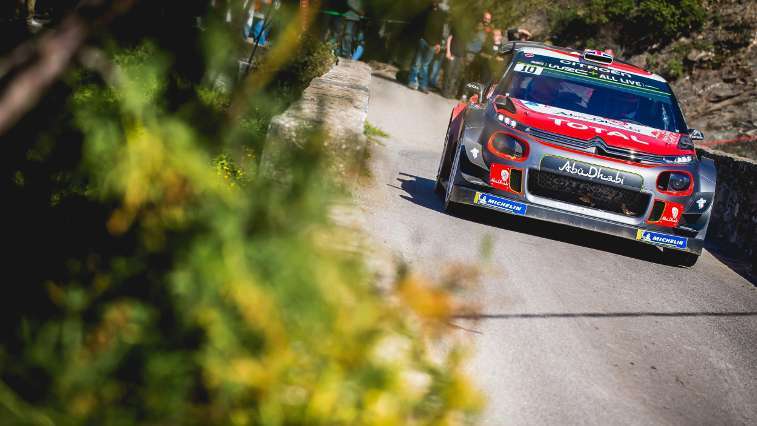 Having won ten of the last thirteen rallies held here, Citroën obviously holds a special place in the hearts of the local aficionados, who line the roads in huge numbers throughout the weekend. Kris Meeke, third in 2014 before then claiming his maiden WRC victory at the event in 2015, has also quickly become a popular figure among the Argentinian fans. After finishing third in Mexico in early March at the only gravel round contested so far this season, the Citroën Total Abu Dhabi WRT's lead driver is determined to put in a strong performance in Argentina as he aims to get among the frontrunners at an event that he really enjoys. The same might be said for Craig Breen on his return to competitive action, buoyed by his second place finish in Sweden and his promising debut here in 2017. He will also benefit from a favourable position in the running order on day one, which may help him get back into the swing of things. Citroën's two leading drivers will be joined in South America by Khalid Al Qassimi, sixth in Argentina in 2015 on his only appearance at the event to date, who will be making his first outing of the season in the third C3 WRC. After being highly effective in Mexico – winning more stages than any other WRC, with the two crews competing at the event topping the timesheets eight times – the C3 WRC's balance has been improved again. The team has used one of its chassis tokens, aimed at introducing an upgrade to the car's rear axle, in order to widen its operating window a little further. This illustrates how the engineers at the team's Satory headquarters are constantly striving for performance gains. It has to be said that the rally is a huge challenge. Despite the minimal changes for this year – mainly found on Sunday's leg, where the stages will be contested in the opposite direction to previous years – the route, which features some very fast stages, and others that are extremely twisty and gravel roads that are often very rough, is nonetheless a genuine test. 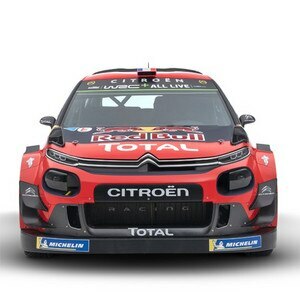 • 10 overall wins secured by Citroën at Rally Argentina: Carlos Sainz in 2004 (Xsara WRC), Sébastien Loeb in 2005, 2006 (Xsara WRC), 2007, 2008, 2009 (C4 WRC), 2011, 2012 and 2013 (DS3 WRC), and Kris Meeke in 2015 (DS3 WRC). Pierre Budar, Citroën Racing Team Principal: "The aim in Argentina will be to try and get back on the podium. This is an event where we are very familiar with the specific features. We are also perfectly aware that this rally can sometimes be unpredictable, largely due to the fairly rough nature of the gravel roads. The team works tirelessly every day to improve and refine our C3 WRC a little bit more. The new rear axle geometry introduced for this rally aims to provide even more consistent handling, regardless of changes in the road surface and therefore generate greater confidence for the drivers. In any case, although Craig lacks experience of this iconic rally, he has already shown in Sweden that he's capable of springing a surprise, whilst Kris is a former winner here, so I think we are well placed to meet our targets." Kris Meeke: "I come into this fifth round very determined to move back up the championship standings, but this rally is such a challenge, you have to treat it with the respect it deserves. I'll do my very best, as always, but the weather may be a factor. The condition of the roads is often determined by how much rainfall there has been over the previous six months. In any case, it's a rally that I really love, both for the wide range of difficulties involved and the warm, very enthusiastic welcome we get from the local fans. Added to which, I have always been comfortable here, I've finished on the podium twice in my four appearances, including my first WRC win." Craig Breen: "Having only raced here once before, and even then only for part of the rally, I fear that my lack of knowledge may hamper me a bit, the other guys have been driving on these stages for years. But I really enjoyed the brief taster that I got here last season and I can't wait to get started. Testing went really well. It had been a little while since I had last driven the C3 WRC on gravel and the car has clearly improved on this surface. So my confidence has been given a serious boost coming into this rally, which is set to be pretty demanding." Khalid Al Qassimi "I think this rally is going to be a real challenge for me because it has been some time since I last competed here, but I am very much looking forward to it. I'll have to get my bearings again, review and revise the pace notes for the stages. My sole aim is to make it to the finish and enjoy myself, whilst also supporting the team." 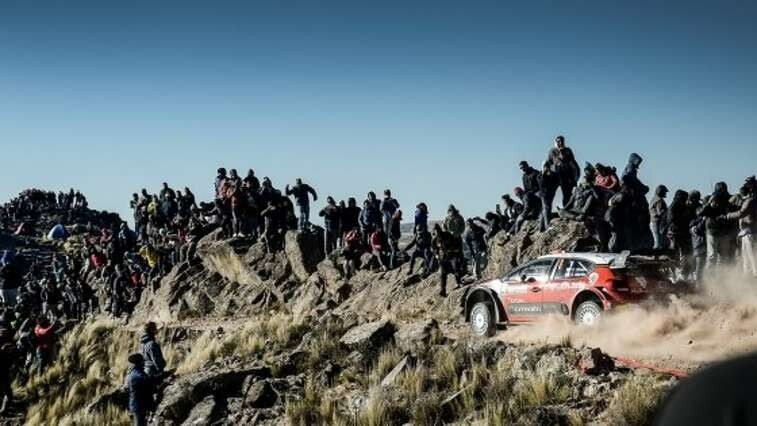 Following the withdrawal of the Safari and Acropolis rallies in Kenya and Greece from the WRC calendar, Argentina now holds the ‘honorary status’ of the roughest rally of the season. The rally features rolling, stony stages, tackled at very high speed - almost 120kph on average - on the opening day around Santa Rosa de Calamuchita, with looser road surfaces on Saturday, and then extremely bumpy roads on Sunday, such as the incredibly narrow and technical El Condor or Giulio Cesare stages, where average speeds drop to around 75kph. There are therefore many stresses placed on the cars, especially as they race at altitudes approaching 2,000 metres above sea level – on El Condor, for example – and have to negotiate several water splashes, meaning that reliability can often play a key role the final outcome. "I remember Kris' win in 2015, his maiden WRC victory. It was obviously a very special moment for him, but it was for us too, because in some ways it was the start of a new era for the brand in rallying. The last time I had been in Argentina before that was back in 2013, when I was chief mechanic for Seb and Danos and we had won the rally. So it was nice in 2015 to be back on the podium again, this time with Kris and Paul in only their second season in the team, especially as we quickly realised, despite the language barrier, that they were both really nice guys. Argentina is such a demanding rally, with a lot of embedded rocks on the stages. We have to be alert all at times during the service periods – which don't last very long – especially with regards to the sub frame, the chassis and suspension systems, which take quite a battering from contact with the rocky roads. Winning this rally with our new crew was therefore all the more satisfying."